Everyone knows that horror and damn good old-fashioned scariness have always been a big part of Doctor Who and its appeal. The joke that children in the 60s hid behind the sofa from their fear of the Daleks. The same still applies today with The Silence and Weeping Angels. 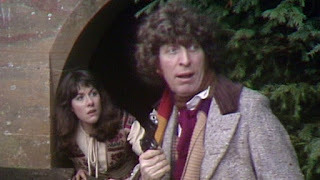 However, during the series' of 12-14, horror was the main driving force behind the opening series' of Tom Baker's era. The show finally began to push the boundaries of what you could get away with in a show orientated for a family audience. There was an increase of violence and horror that echoed the Hammer Horror movies. But the show did what it set out to do and got more attention and the ratings gradually went up. Of course, so did the complaints from censorious conservatives, particularly Mary Whitehouse. 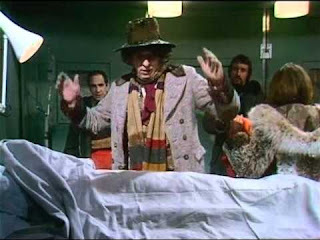 After series 14 had come to an end, the production team of Phillip Hinchcliffe and Robert Holmes was disbanded. But the ride we went on was brilliant, 17 stories were made during this era, many of which I would designate classics. And even those that I wouldn't, were no less watchable and entertaining. For me, The Seeds of Doom is one of the best stories that the show has to offer. The entire thing is tightly written and directed with the horror/thriller story about an alien weed called a Krynoid, was really entertaining. 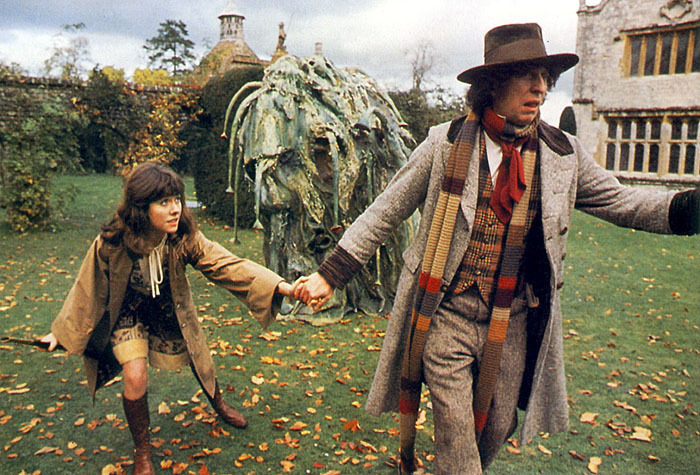 The brilliant acting from Tom Baker helps to ground the piece and he gives a really tense performance and when he is allowed to let his comedy loose, he manages to lighten the mood without ever making us forget that the apocalypse is blooming out in the garden. Even a casual horror fan will recognize the basic plot of the story. 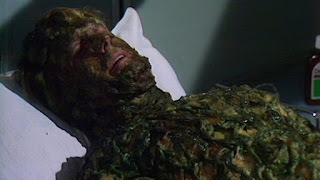 Beginning in a remote Antarctic research base, scientists find a pair of alien pods and it doesn't take long for one to wake and infect one of the scientists, covering his body in a green, plant like substance before it consumes him and then becoming him. It could the same to the rest of the world if it ever escaped. While it feels like The Thing From Another World, the Hinchcliffe/Holmes era gives the whole thing an interesting twist. Their iconic blend of action science fiction and gothic horror, it wears its influences on its sleeves, not only borrowing inspiration from old movies and books. Including The Quatermass Experiment, The Mountains of Madness and Who Goes There but also from the 1965 Avengers episode, The Man-Eater of Surrey Green, which also features an alien plant taking over the mind of an insane billionaire so it can take over the Earth. But what helps to elevate the story above the level of imitation is that the story isn't just parading cheap, winking references but makes serious attempts to combine the best of the original sources and create something that approaches the quality of the originals. The Seeds of Doom is an entertaining piece of action-horror and could be said that it was a precursor to John Carpenters, The Thing. Long Doctor Who stories like this could be draggy but even at six episodes, this story moves like lightning, going from the Antarctic to an English mansion owned by a deranged billionaire, Harrison Chase. He is an obsessed botanist with money and power and can get anything he wants. He is only too thrilled to find out that his new, stolen pod can fulfil his dream of wiping out humanity in favour of his precious plants. He is mad and evil from the very beginning, insisting that bonsai an act of torture towards the plant kingdom. He is a compelling parody of an environmentalist back when the movement was new and frightening in the mainstream. Like Chase, it is interesting in this story that the Doctor is particularly hard-put in trying to show sympathy for the very people he was trying to save. He isn't even willing to pretend to be interested in the problems of humanity as he has his eyes on the bigger picture. He has to save us all from the monsters from outer space and can't be doing with saving us from ourselves too. It is left to Sarah to take up the role of rallying people's morale, much like she does with the scientists at the base. The pacing is brilliant throughout and manages to hit each cliff-hanger on a crescendo of tension. But it also breathes when it needs to and lingers on the grotesque transformations of human beings into Krynoids. They don't just fall down and then get up the next moment as Krynoids. The process takes its time. This is especially effective in the case of poor Keeler. Alright he was crooked but he was a sympathetic scientist who pays the ultimate price for associating himself with a man like Chase. But what is really disturbing about his transformation is that when he is loosing his mind and turning into a ravenous alien predator, he is still conscious and knows what is happening to him.